The Roof - NOW OPEN! A unparalleled view of Key West. Watch the ships come in during sunset while enjoying the largest and highest deck in Key West. With a menu that matches the view, your dining experience at the Waterfront Brewery is an unforgettable part of being on the island. 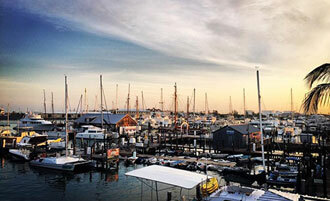 Located right on the historic seaport, you can’t get any closer to the life of a working wharf. Nothing beats drinking one of our signature beers and enjoying a meal with friends and family. Need to catch the game? We have 18 TVs and 2 big screens playing sporting events on all day long! 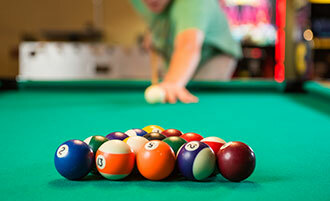 Video games, TVs, pool tables, air hockey, crane games, Buck Hunter, and more. Fun abounds for all ages in our Game Room! It’s the perfect place to hang out, and sometimes catch an event! Be sure to check out our event page or follow us on Facebook to keep up with the latest happenings. 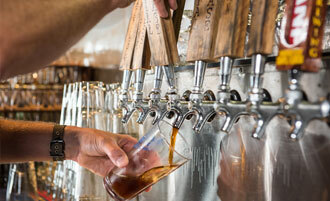 The name says it all – this is where we make the beer! 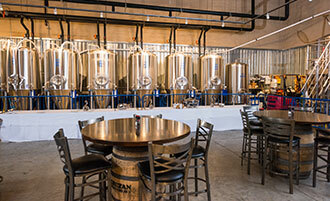 The Brew Room brews up good times for all!